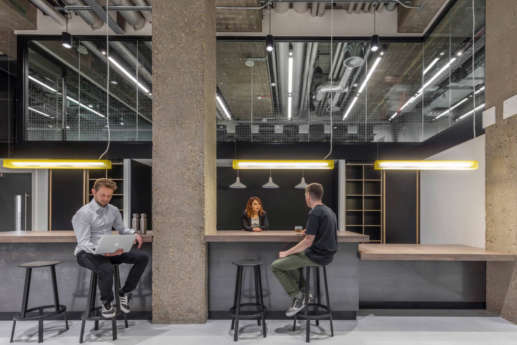 How do you turn a banking vault and 1980s building into an open plan, collaborative workspace for tech startups? 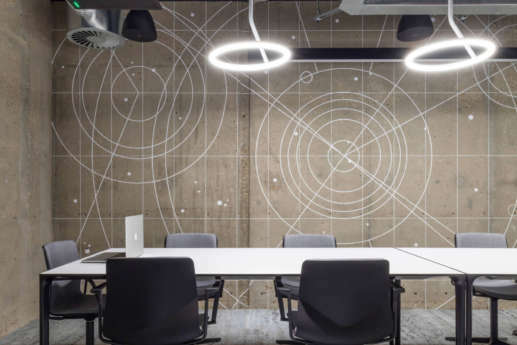 Overbury completed the fit out of a UK tech campus for San-Francisco’s RocketSpace, a co-working tech accelerator whose alumni include 18 billion dollar companies such as Uber, Blippar and Spotify at NatWest-owned Regents House in Angel, north London. 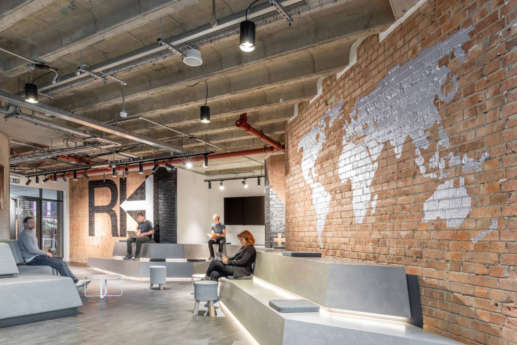 The fit out and restoration is designed specifically for high-growth tech start-up businesses providing flexible working spaces for up to 1,500 people as RocketSpace continues its ambitious growth and builds a global network of campuses. 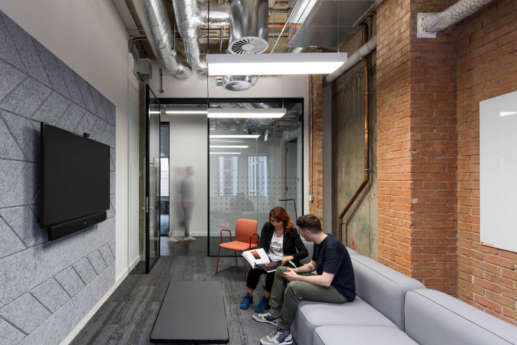 The London campus, launched in May 2017 is the first outside of San Francisco – the result of a successful partnership between RocketSpace and NatWest. 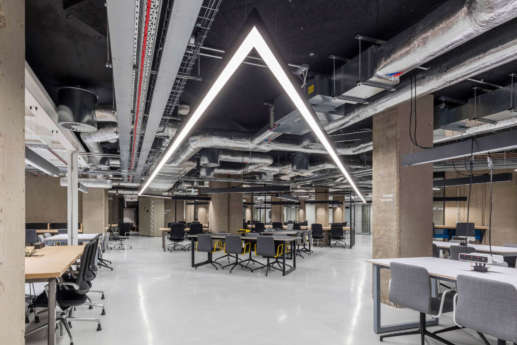 Initially set over three floors including a former underground bank vault, LOM architecture’s design strips back the 1980s building to its original shell revealing the structural core of blast-proof reinforced concrete, intricate webs of coffered ceilings and brickwork. 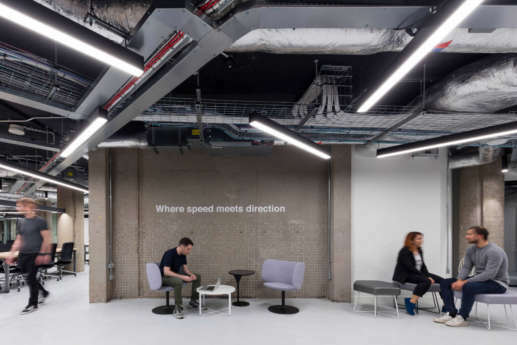 Exposed services, clean lines and metallic colours provide a backdrop to an array of brand messaging and wayfinding, giving spaces individuality and character. 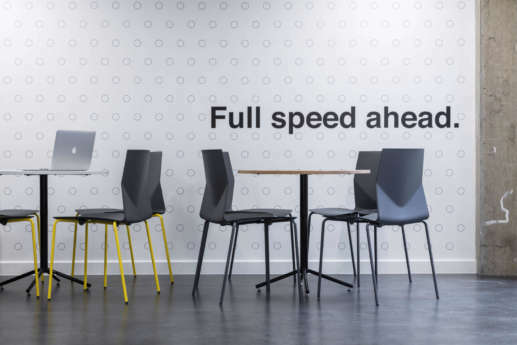 Upper floors of the campus provide dedicated co-working ‘surf desks’ and a range of four to 30 person suites for tech start-ups, designed to expand flexibly in response to business growth. 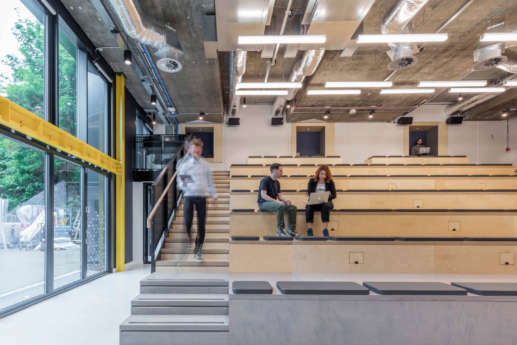 An impressive double height basement space retaining the original bullion storage vault provides a shared social, interactive networking hub and event space with bleacher seating, teaching facilities, media pods, a bar area and meeting rooms. 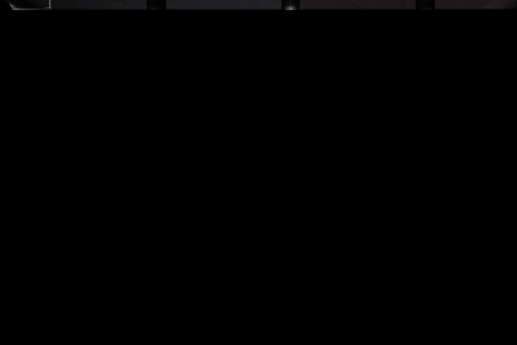 Within the original bank vault is a lounge and games room complete with bullion cages and bank vault doors. Whilst the vaults themselves have remained (having been decommissioned), demolition and concrete cutting was required to open up the space. The immense concrete structures were load-bearing and some were reinforced beyond usual standards. Much of the concrete cutting was restricted due to the vaults being constructed with maximum security in mind. Specialist concrete cutters were brought in and the cash vault has been reinvented as the campus games room. 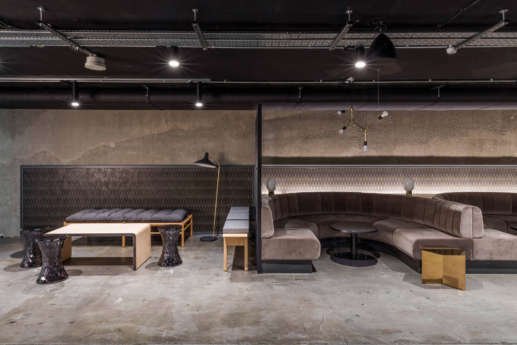 Banquette seating, plush upholstered furnishings and drapes, a cinema lightbox and ornate billiard table provide references to the activities of a former cash vault, whilst the vault doors have remained untouched. During the strip out, more than 1,200 tonnes of materials were removed - 97.5% of which was recycled. The removal and delivery of new materials was a challenge in itself due to the adjacent school and nearby residents. The local community was consulted during the design stages and is now benefiting from a refreshed public realm around the building. 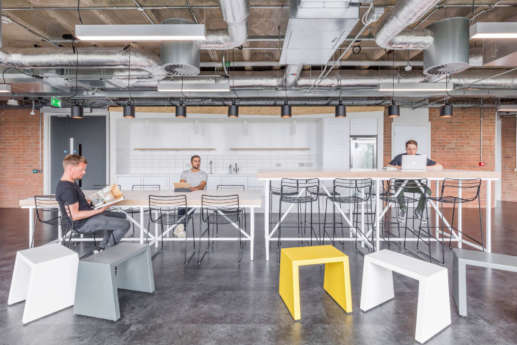 Importance was placed on providing a fit out that effectively managed acoustics in the shared workspace. 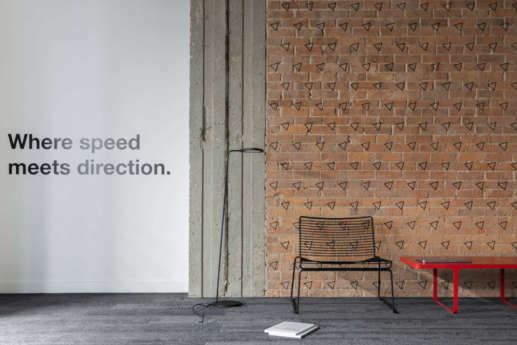 A unique partition system - the Radii system - which forms acoustic barriers, was put in place. 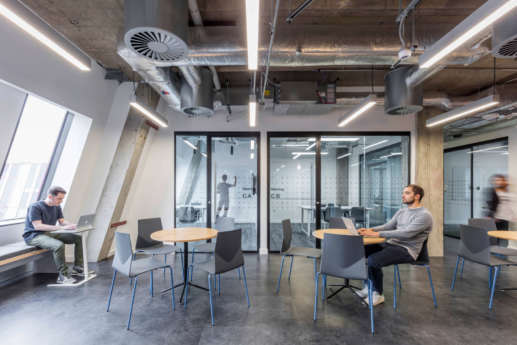 The system allows for the ad-hoc cellularisation of offices and the ability to adapt them to two, four or eight person offices. 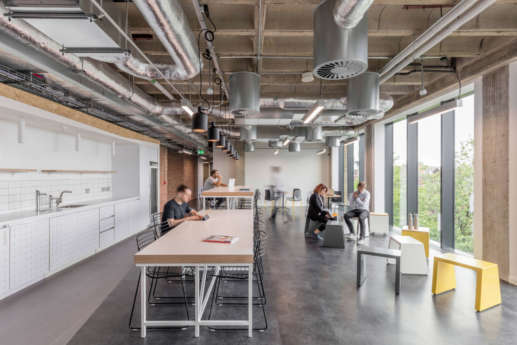 Cliff adds: “The facilities we’ve provided allow tenants to adapt and change within the environment – there is the ability to increase or decrease office space. 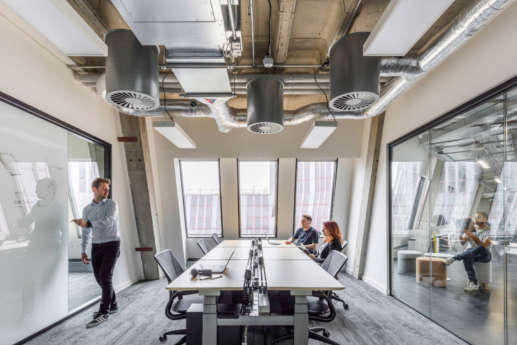 We’ve ensured the infrastructure is there for non-cellularisation or cellularisation – it is flood-wired so occupants are able to change the services with the flick of a switch, which is incredibly important in this type of workplace.